2 Serbian dynasty, nobility tributed to Hungary until 1540. Belgrade fell only in 1521. 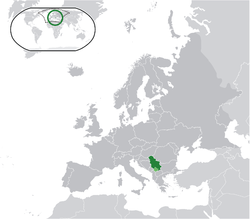 Serbia was briefly reestablished by Jovan Nenad 1526–7. Эн халхин отхн сольсн: 14:32, 8 Моһа сарин 2013.